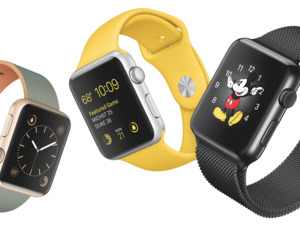 Apple is solving its biggest Apple Watch issue: super-slow apps. The Apple Watch’s biggest problems are its apps, namely the time it takes for them to load, and the limited features developers are allowed to bake in. Apple is fixing these issues with a major overhaul to watchOS, coming this fall as a free upgrade for all Apple Watch owners. During the Worldwide Developers Conference keynote on Monday, Apple previewed a slew of new features coming to watchOS 3. Here are the major changes that will breathe new life into your Apple Watch. Every Apple Watch owner knows the struggle of launching apps. By the time the app opens, you’ve given up and turned to your iPhone for help. Apple Watch apps will launch instantly in watchOS 3, and not just Apple’s native apps—third-party ones, too. Your favorite apps will be kept in the watch’s memory and update automatically in the background, so you always see the most up-to-date information without having to stare at the spinning wheel of death. Apple’s technology VP Kevin Lynch said apps will launch seven times faster in watchOS 3 than watchOS 2. 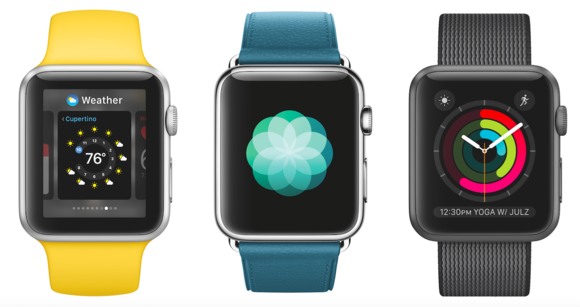 The Apple Watch is also getting its own app switcher, just like in iOS. You can put your most-used apps in a dock and swipe between them. In the dock, you’ll see the most recent information at a glance, which is much more useful than the slow-loading Glances view. Apple is bringing its native Reminders and Find My Friends apps to the Watch so you can view your to-do lists and check them off and see how far away your friends (or, more likely, your family) are from you. The Apple Watch has supported Apple Pay since day one, but now third-party app developers will be able to integrate Apple Pay as a payment option in their apps, which wasn’t available before. Activity-sharing and a new health app called Breathe are coming in watchOS 3. One of the Apple Watch’s most-used apps is Activity, which shows you how close you are to reaching your daily fitness goals with those addictive rings. Apple is giving those features a huge upgrade in watchOS 3 with a Fitbit-like feature: competition. 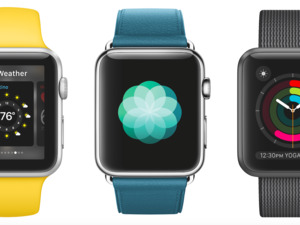 The next-gen operating system will put an activity-sharing feature on the watch. How it works: Swipe to the right of your activity rings to see your friends’ and family’s rings. You can sort the list by step count, workouts, and exercise minutes, or tap on a specific person to see how active they’ve been that day. You’ll be able to send messages directly within the Activity app with new pre-written smart replies geared toward encouraging (or smack-talking) your contacts’ activity. The Apple Watch is getting a Fitbit-like feature in activity-sharing. Apple is at the forefront of developing features with accessibility for all users in mind, which is why watchOS 3’s Activity app has new settings for wheelchair users. Apple conducted studies on how Apple Watch owners in wheelchairs use their watches and will put the results of those studies in the next-gen OS. Activity rings will recognize wheelchair pushes, two workouts in the Workout app are designed for wheelchair users, and there'll be an option for “time to roll” notifications instead of hourly “time to stand” ones. The Apple Watch is also getting a brand-new health app called Breathe, which guides you through meditative, deep-breathing exercises. The new app can be launched from the watch face, dock, or through notifications that remind you to breathe. You can adjust the length of a session using the Digital Crown and take advantage of haptic feedback for vibrations that will guide you through each breath. One more thing: Your favorite third-party fitness apps will now be able to run natively in the background for workouts, which means they'll get access to all of the watch’s sensors, like heart rate data, while you’re working out. App speed and new fitness features are watchOS 3’s biggest upgrades, but Apple is adding a ton of small tweaks that will make the Apple Watch easier to use. There’s a new Control Center view, so you can swipe up from the bottom of your watch screen for quick access to settings, just like on your iPhone. Messaging is also getting easier in watchOS 3—you won’t have to tap Reply before selecting a way to respond. There’s also a brand-new way to send a message called Scribble. 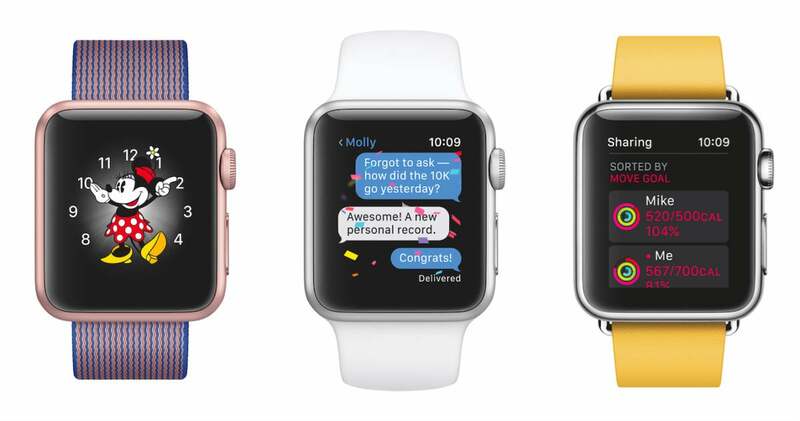 There’s still no Apple Watch keyboard (which is a good thing), but instead of selecting a pre-written reply or dictating a voice response, you’ll be able to scrawl letters on the screen, which the watch will then turn into text. I can see myself using Apple Watch messages far more often with this option. Scribble will work in English or Mandarin. 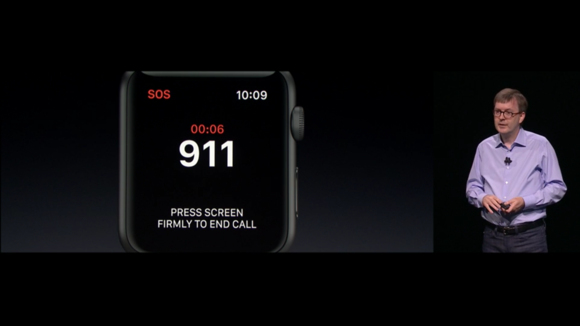 SOS is a potentially life-saving watchOS 3 feature. Apple said people switch watch faces according to occasion, so it’s bringing new options to watchOS 3. There’s a new face called Numerals, a dancing Minnie Mouse to complement the existing Mickey face, and watch faces designed around activity rings, so you can see your daily rings in analog, chronograph, or digital versions. The next-gen watchOS also includes the ability to add Complications to faces, so you can see Weather on a photo, for instance. 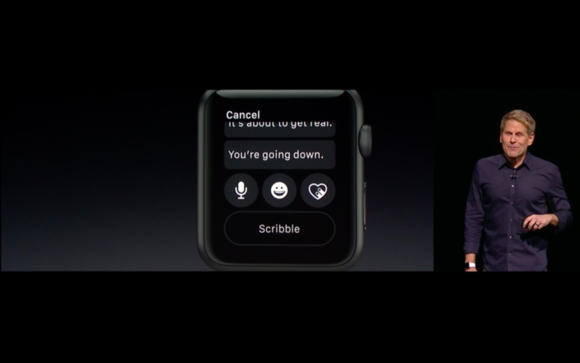 The watchOS 3 feature you may never have to use but might save your life is called SOS. If you press and hold the side button, your watch will call emergency responders in any country using your iPhone’s cellular connection or Wi-Fi, if your watch is connected to a network. The SOS feature will alert your emergency contacts that you’re in trouble and send your location to them. It will also display your Medical ID on your watch face so first responders will have access to your essential info. The side button finally has a real reason for existing. One watchOS 3 feature we'll be using all the time doesn't even require you to do anything. Your Mac will sense when your Apple Watch is nearby and unlock itself, no password required. watchOS 3 will be released this fall. Apple just launched a preview site with information on all the new features you can tap into when the next-gen OS rolls out.